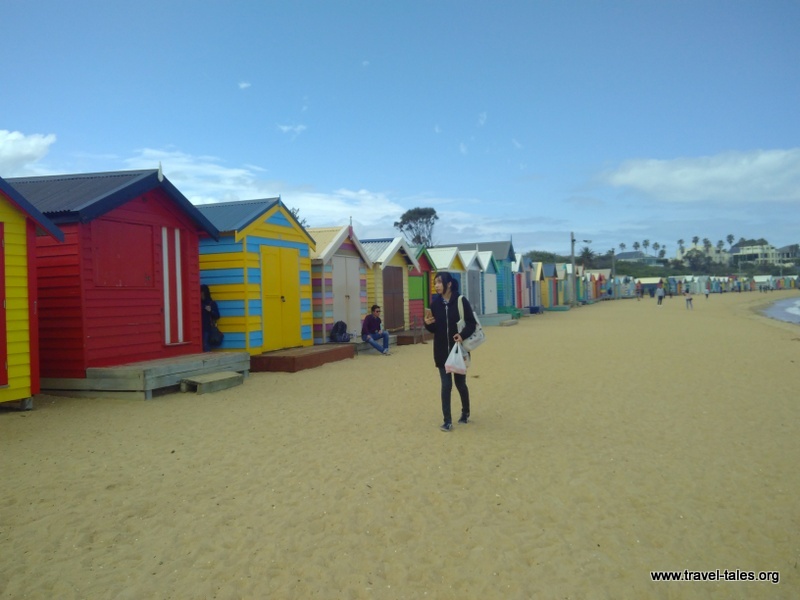 I did of course explore Melbourne itself as well. I had seen these cuddling buildings on my way into town from the train and would say it was a fair introduction into its architectural diversity. show the great variety of styles and ages of buildings throughout the city. This is also reflected in their trams, although I didn’t take any pictures of the new looking ones. If you don’t manage to get a seat on a tram but still fancy a sit-down, I highly recommend the Royal Arcade where you can watch Gog & Magog moving on the hour. One of the older residential areas is stunning, I dare not think how much these houses cost. And on Brighton Beach there are traditional beach huts which apparently cost a fortune to own. And even on cool days are inundated with tourists (like me) taking pictures. Not sure I’d really want to own one.